Drive away in a hybrid vehicle from The Auto Source! | The Auto Source, Inc.
Drive away in a hybrid vehicle from The Auto Source! July 25th, 2016 by The Auto Source, Inc.
Are you looking for a vehicle that is fuel efficient and will take you great distances? 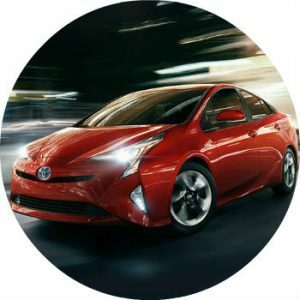 Here at The Auto Source, we offer many vehicles that reach over 30 mpg, and some of them are hybrid models! These vehicles have come a long way since their early days as an earth-friendly curiosity. Models from the last few years have gained a reputation for performing very well while attaining a high fuel efficiency. And affordable used hybrid vehicles are occasionally available on our Orlando, Florida sales lot! Thanks to added engine technology, hybrid vehicles are able to attain a higher fuel efficiency than their conventional counterparts. The most famous model is the Toyota Prius. Models from 2016 are estimated to reach 54 mpg in the city and 50 mpg on the highway! With a similar fuel efficiency like that, you will be able to go great distances before needing to fill up again! Learn About the Benefits of Buying a Used Vehicle From Us! Here in Orlando, we love having the opportunity to enjoy the fresh air everyday, and we want our visitors and future generations to have the same experience. The engine technology not only allows hybrids to attain a high fuel efficiency, but to run cleanly. Many models are classified as Super Ultra Low Emissions Vehicles (SULEV) by United States government standards. Learn About Late-Year Models Available at Our Dealership! Used Hybrids are Available at Great Prices! One of the best things about purchasing a hybrid vehicle from The Auto Source is that you will be able to enjoy a great deal! Many of our vehicles are available at a price that is less than Kelley Blue Book recommendations! Find the Best Pokemon Hotspots in Orlando! Find a Used Hybrid at Our Orlando Dealership! If you are interested in a high-quality and fuel efficient used hybrid vehicle at a great price, check out our inventory or stop in at The Auto Source and let us know what you are looking for! 0 comment(s) so far on Drive away in a hybrid vehicle from The Auto Source!